The Association of Malaysia’s Maritime Professionals or the IKHTISAS KELAUTAN MALAYSIA (IKMAL) is a non-governmental organisation (NGO) whose members comprise seagoing and shore-based officers of the merchant navy as well as other maritime professionals in Malaysia. One of its annual activities is to organise the “Capt Ghani Ishak’s (CGI) Lecture” to be delivered by national and global maritime personalities. The late Capt Abdul Ghani Ishak was one of the pioneers in Malaysia’s maritime industry and a distinguished marine personality in his own right. He passed away in 2011 and in recognition of his services to the industry IKMAL decided to rename it’s “IKMAL’s PRESIDENTIAL LECTURE (IPL)” to the “CGI Lecture”. It will be a Dinner Talk Session whereby those attending will enjoy Western Set Dinner Menu to be followed by the Lecture proper. 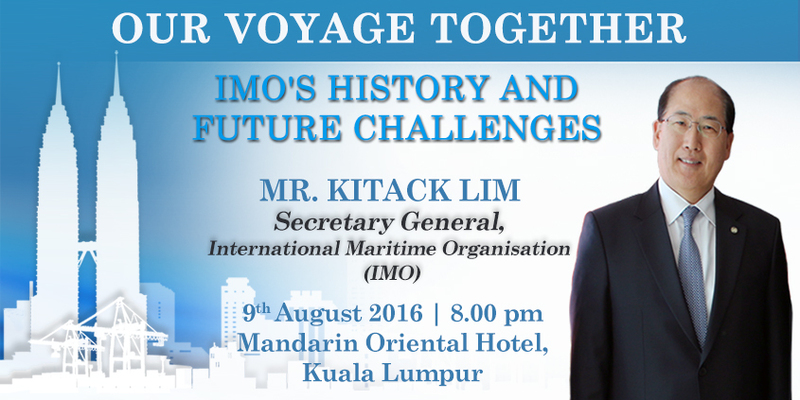 This event will also facilitate an excellent opportunity for networking with the captains of Malaysia’s maritime industry, government maritime officials and other luminaries associated with shipping.